When Fengxia (English name is Christine) registered on AsianSingles2Day.com, it was for two months, and then one day she met her man David online. She was strongly attracted to his handsome profile, so she decided to write him a message to make sure he was still available. The good news came the next morning when she opened her computer to check new messages on the site, and she found a reply from David. That was the beginning of their love story. After that day, they kept in contact daily on the dating site, they sent letters to each other, and also they chatted online when they both had free time. David sent flowers as a nice gift when Fengxia’s birthday came. She said she loved the gift from David. 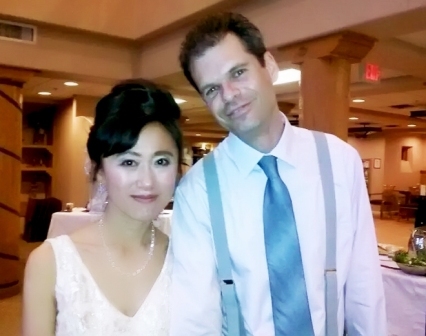 Four months after their initial contact online, David flew to China to meet his lady in person, and Fengxia went to the airport to meet him with site’s interpreter. At first, when they meet at the airport, they both felt shy. But after one hour of contact in person, they feel like they were old friends. They started to gather memories of many happy times; they walked hand in hand along the street and from time to time gave each other a kiss. They recorded many joyful times in photographs, and visited many interesting places in Fengxia’s home city (Nanning). After seven days, David had to leave China and return home to America. When they hugged each other in the airport, they were both weeping because they felt they could not live without each other. The second time David visited China was half a year after he first came to China. This time he decided to help Fengxia to get a visa to get married in America. Meanwhile they also visited some cities in China (Beijing, Shanghai, Guangzhou, Guilin and so on) during the days David lived in China. They were lucky enough to get an American visa for Fengxia. They spent some time with, and bought good food for, Fengxia’s family before they left China. 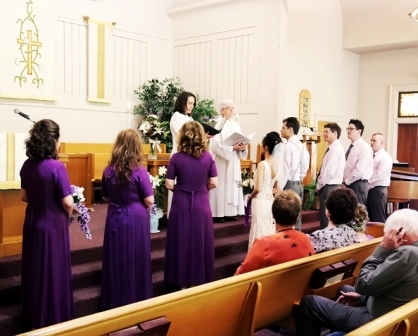 The wedding day came along and they held the ceremony in a church as they are both Christian. Now they are living a happy life in America. Fengxia shares her emotions and says she feels so happy to live in America with her man David. David treats her very well every day, always giving her a kiss in the morning and evening. Their life feels like living in a honeymoon. Let’s all give congratulations to them: stay in love for ever, happy always!